At the heart of every processor is an ALU, an Arithmetic Logic Unit. It is what does the addition, subtraction, compares, and other logic function on the bits we call data. Add some memory for registers, stack, and program control and one has a basic processor, or bit slice processor. In the 1970’s and even the 1980’s many systems still implemented their ‘processor’ in discrete logic. 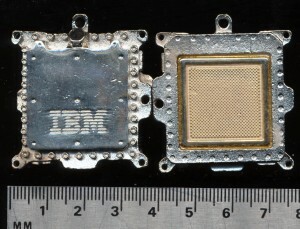 The 74181 (TTL), 10181 (ECL) and 14581 (CMOS) were the heart of many of them. The ‘181 could handle any of 16 arithmetic and logic functions on a pair of 4 bit words. 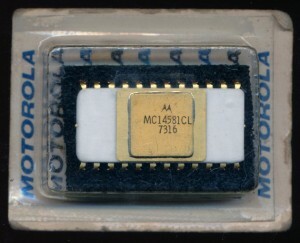 The Motorola MC14581CL was the first of the CMOS ALU’s. This example was made in early 1973. CMOS itself was only patented a few years prior (1967) and didn’t see extensive use in processors until the mid 1970’s (RCA 1802) and most other processors in the 1980’s. Remarkably, after 40 years, its still in its original package. In 1980 Intel released the MCS-51 family of microcontrollers, a design that would go on to become one of the pillars of the 8-bit MCU market. Initially the family consisted of the 8051, which included 4KBytes of on-chip ROM (or UV-EPROM in the case of the 8751) and 128 bytes of RAM as well as the 8031 which did not include the ROM, all program memory was off chip. 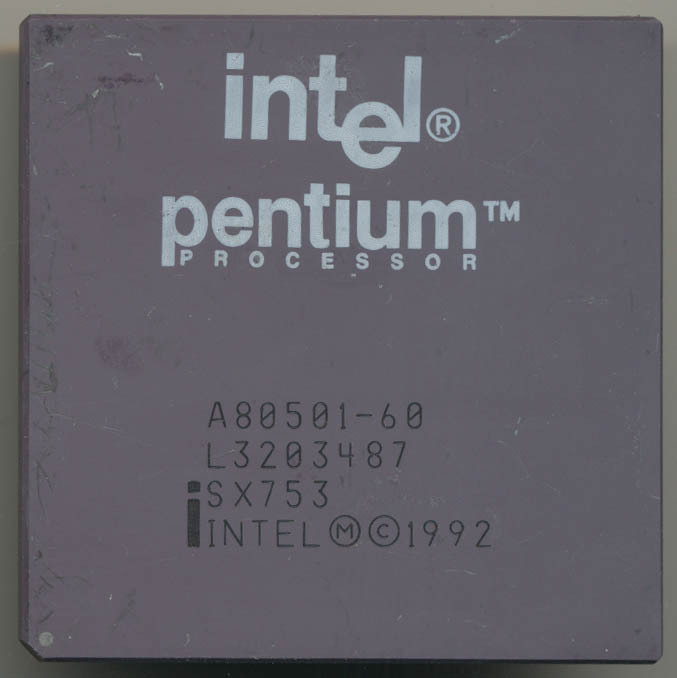 The 8051 was a wild success with Intel struggling to meet demand. 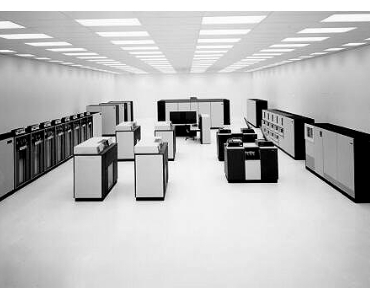 Intel did not have the fab capacity to produce both the 8051, and the very in demand 8088 (thanks to IBM). In 1984 Intel opened a new fab in Albuquerque, New Mexico to build other chips, freeing up production space in the California fab for more 8051s. 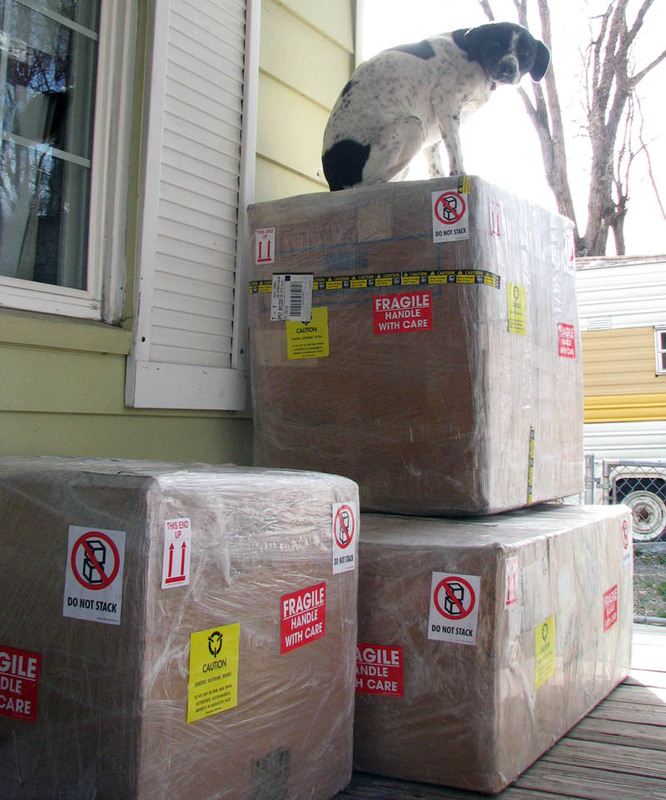 Even so, an $8 8051 was routinely scalped for over $200 on the grey market and waiting periods of up to a year were common in order to receive orders, with many companies on allocation. Intel licensed the design to both AMD (who built a fab in Austin to make it) as well as Signetics in an effort to keep up with demand. The hardest to get part in the industry, was the 8051 from 1983-1984. P8344 – A ROMLess 8044, so essentially an 8031 + SDLC controller. So in the midst of this insatiable demand for an MCU that they did not have the capacity to produce, Intel releases the RUPI-44 (Remote Universal Peripheral Interface). The RUPI-44, also known as the 8044, is an 8051 with an additional 64 bytes of RAM and a full serial communication co-processor on die. Specifically it was an 8051 that handled the SDLC (Synchronous Data Link Control) protocol in hardware. 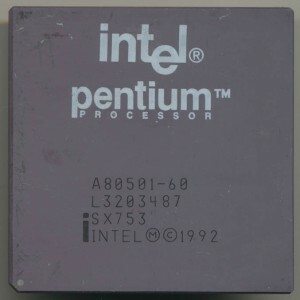 Intel had an SDLC controller, known as the 8273, but it was limited to 64kbps, the 8044 could handle data transfers of up to 2.4Mbps due to the 8051 core’s high speed and close coupling of the serial controller. SDLC was developed in 1975 by IBM and was generally used as a way for mainframes to communicate with various peripherals and terminals. It supports error correction and multi-point, point to point, and loop connections. In 1979 SDLC was standardized as HDLC (High-Level Data Link Control) which the RUPI-44 also supports. While popular in the 70’s and 80’s its use has faded out, though it achieved some long lived use in Europe running the Intel derived BITBUS protocol well into the 90’s. Part 2 of my abbreviated biography of Chuck H. Moore’s processor designs. Part 1 covered the early days of Novix, and the RTX2000. Moore was not content to just create one processor design, or one company. In the 1980’s he also ran Computer Cowboys, a consulting/design company. In 1985 he designed the Sh-boom processor with Russell H. Fish III. This was a 32-bit stack processor, though with 16 general purpose registers, that was again designed with Forth in mind. It was capable of running much faster then the rest of the system so Moore designed a way to run the processor faster then the rest of the board, and still keep things in sync, innovative at them time, and now standard practice. The Sh-Boom was not a particularly wide success and was later licensed by Patriot Scientific through a company called Nanotronics, which Fish had transferred his rights to the Sh-Boom to in 1991. Patriot rebranded and reworked the Sh-Boom as the PSC1000 and targeted it to the Java market. Java byte code could be translated to run in similar fashion as Forth on the PSC1000 and at 100MHz, it was quick. In the early 2000’s Patriot again rebranded the ShBoom and called the design IGNITE. Patriot no longer makes or sells processors, concentrating only on Intellectual Property (Patent licensing). After designing the Sh-Boom, and the Novix series, Moore developed yet another processor in 1990 called the MuP21. This was the beginning of a what would be a common thread in Moore’s designs. MISC (Minimal Instruction Set Computer), which is essentially an even simpler RISC design, multiprocessor/multicore, and efficiency have become the hallmarks of his designs. The MuP21 was a 21 bit processor with only 24 instructions. At 20MHz performance was 80 MIPS as it could fetch four 5-bit instructions in a 20 bit word. 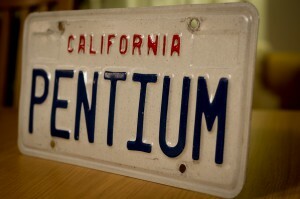 It was manufactured in a 40 pin DIP on a 1.2 micron process with 7000 transistors. In 1993 Moore designed the F21, again a 21 bit CPU based on the MuP21, designed to run Forth, and including 27 instructions. It was fab’d by Mosis on a 0.8u process. The F21 microprocessor contains a Stack Machine CPU (with a pair of stacks like the NC4000), a video i/o coprocessor, an analog i/o coprocessor, a serial network i/o coprocessor, an parallel port, a real time clock, some on chip ROM and an external memory interface. Performance was 500 MIPS (this was an asynchronous design, so ‘clock speed’ is a bit of a misnomer) and transistor count had risen to about 15,000. The F21 was made up through 1998, however the design continued to evolve. A version of the F21 was developed called the i21, originally for Chuck Moore’s iTV Corporation, which was one of the very first set top Internet appliance companies. It integrated additional featured such as infrared remote interface, modem DMA interface and a keyboard DMA interface. 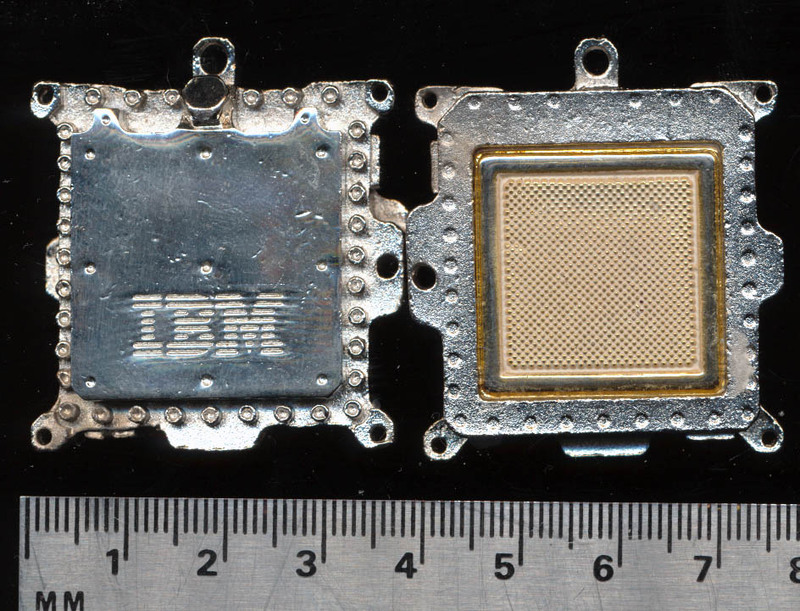 The F21 scaled well, and was tiny, remember, only 15,000 transistors, which at 0.18u takes up a VERY small die, and allowed performance to hit 2400MIPS @ 1.8V. One could put a very large amount of these on a single die…..